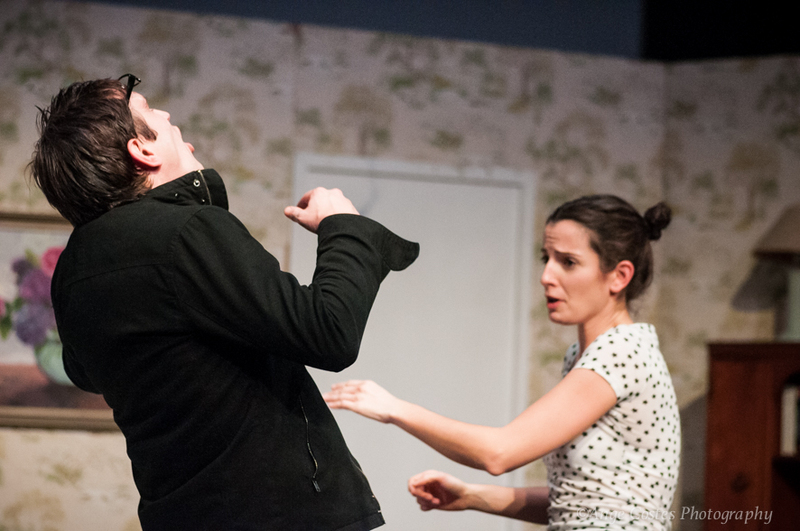 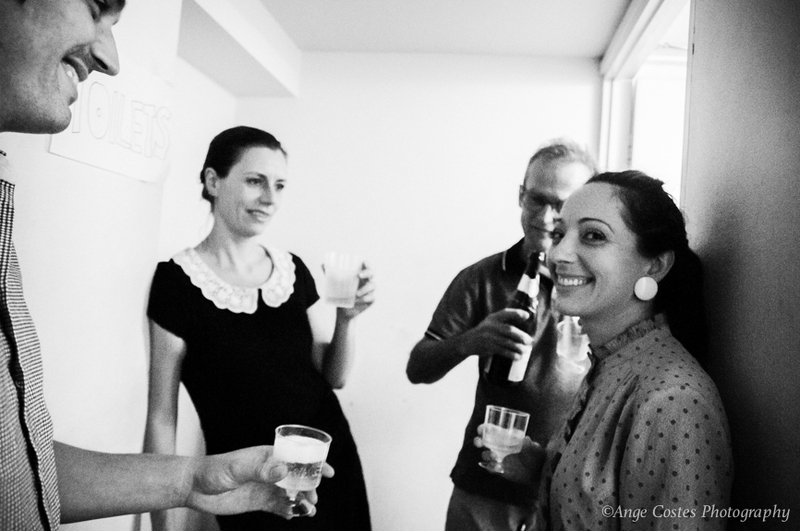 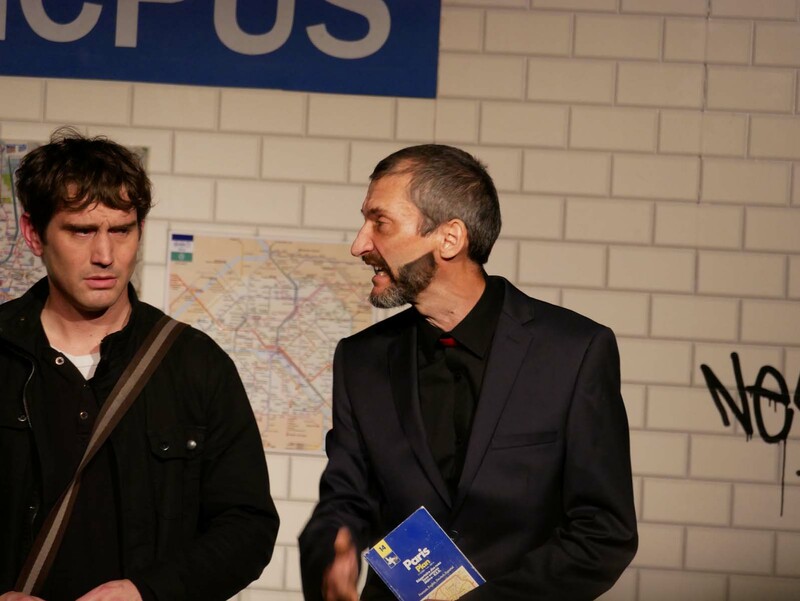 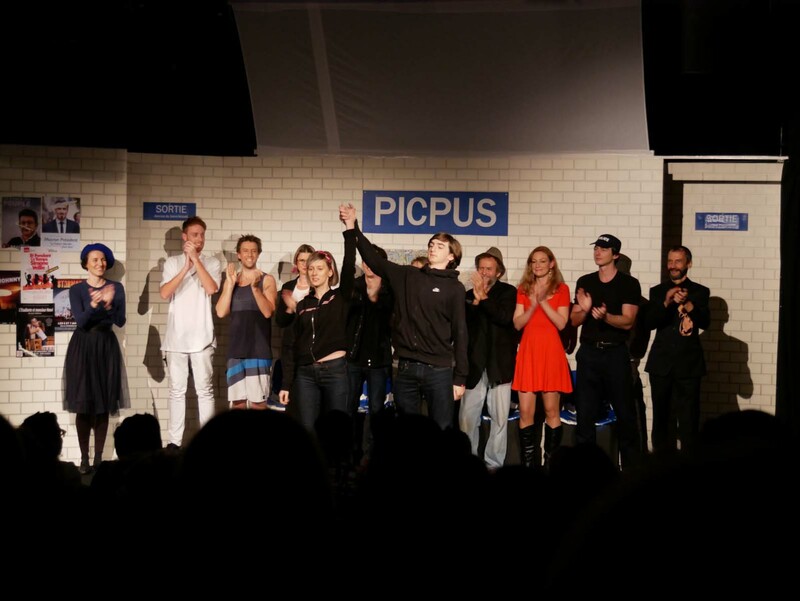 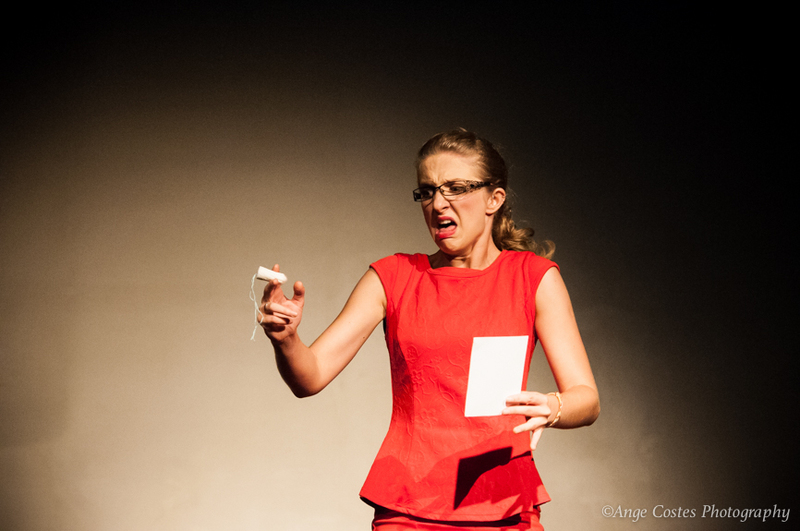 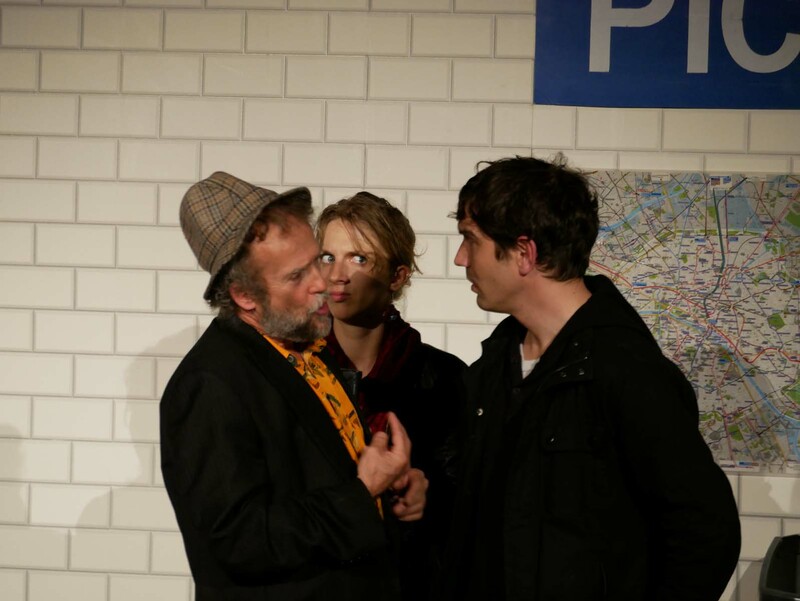 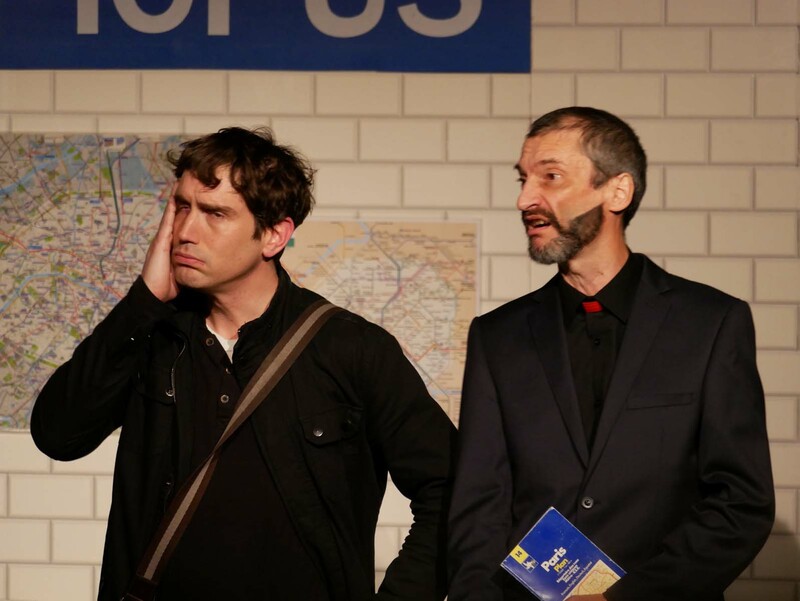 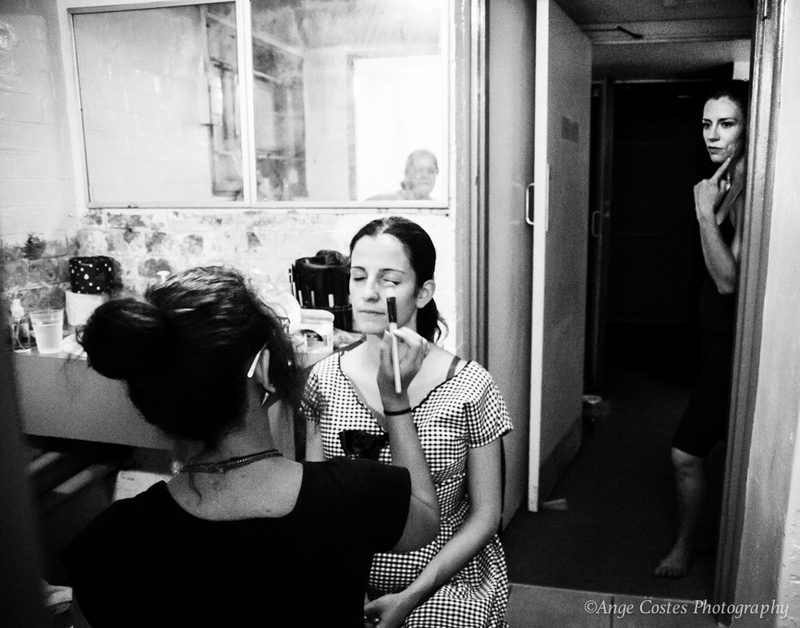 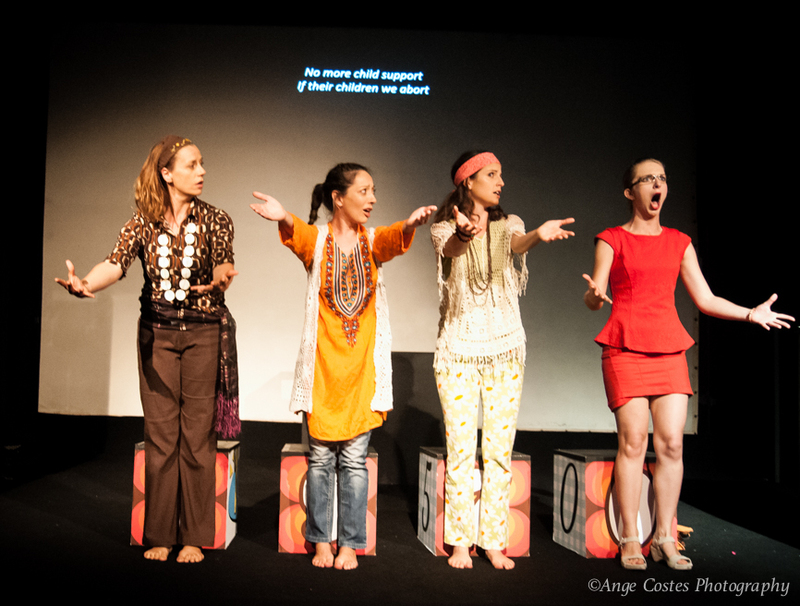 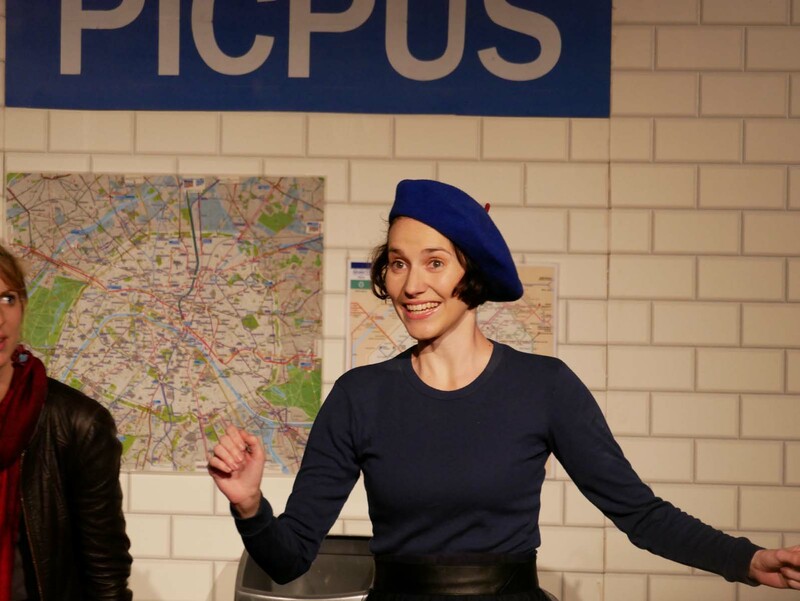 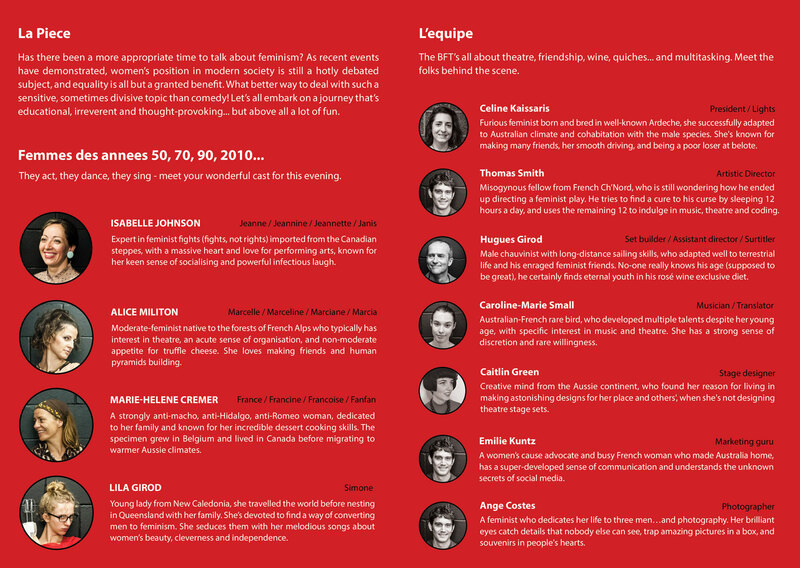 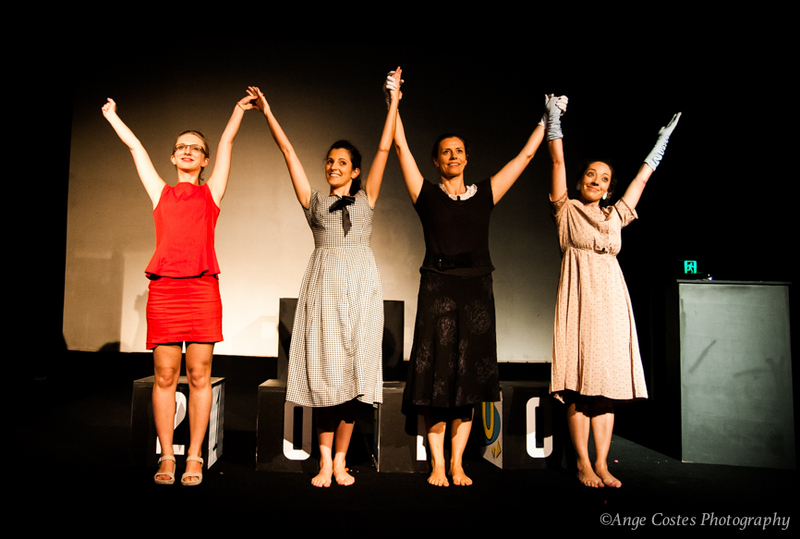 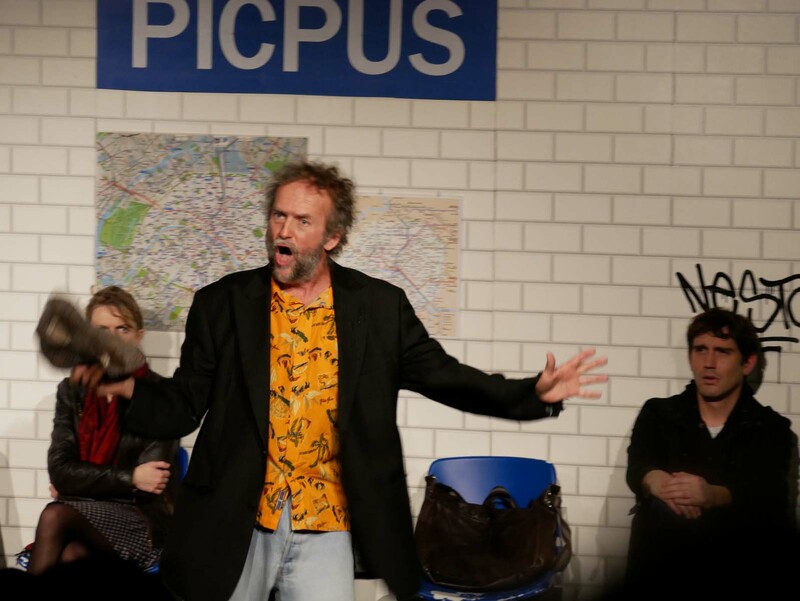 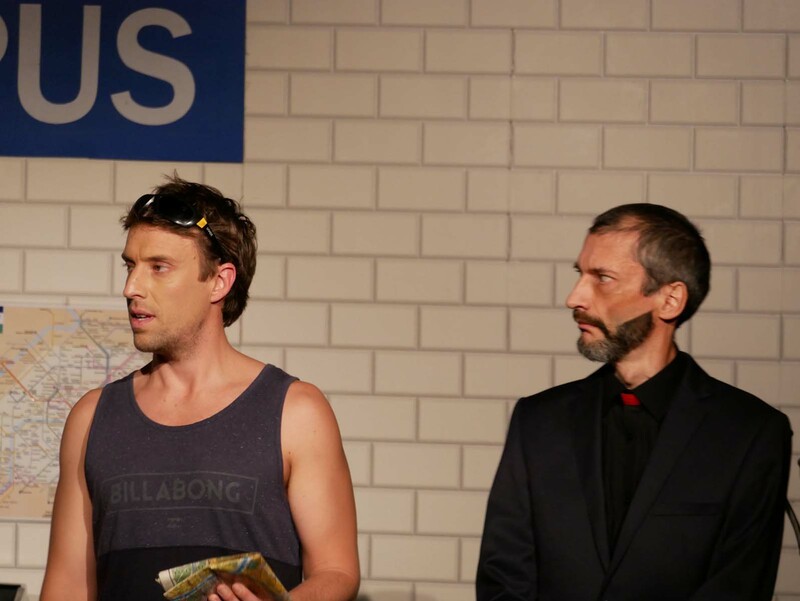 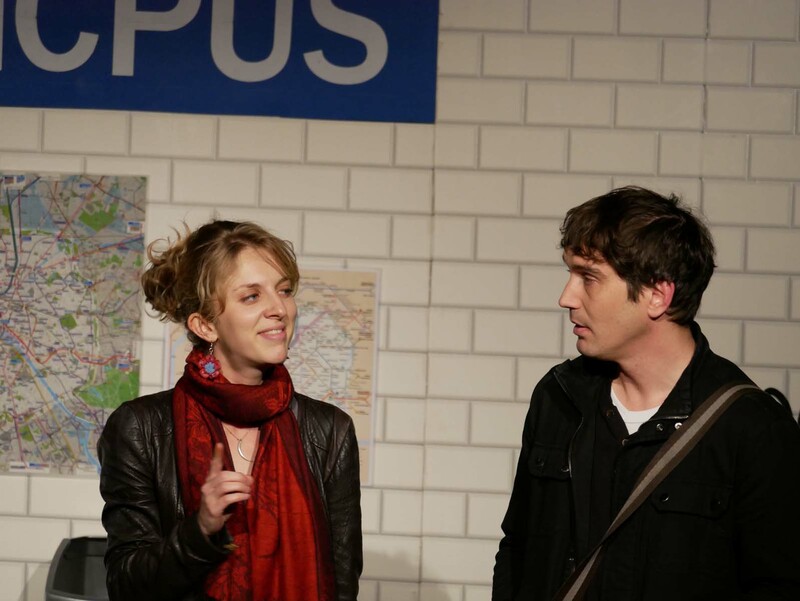 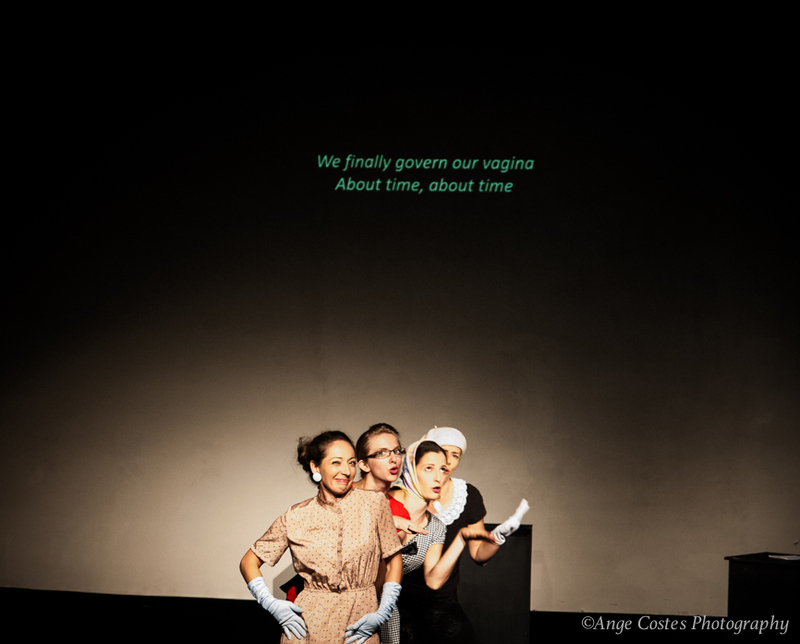 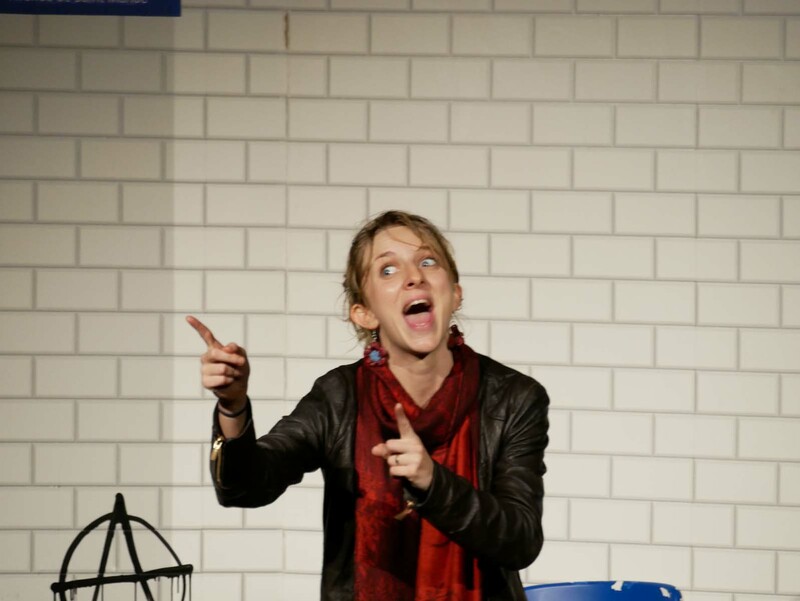 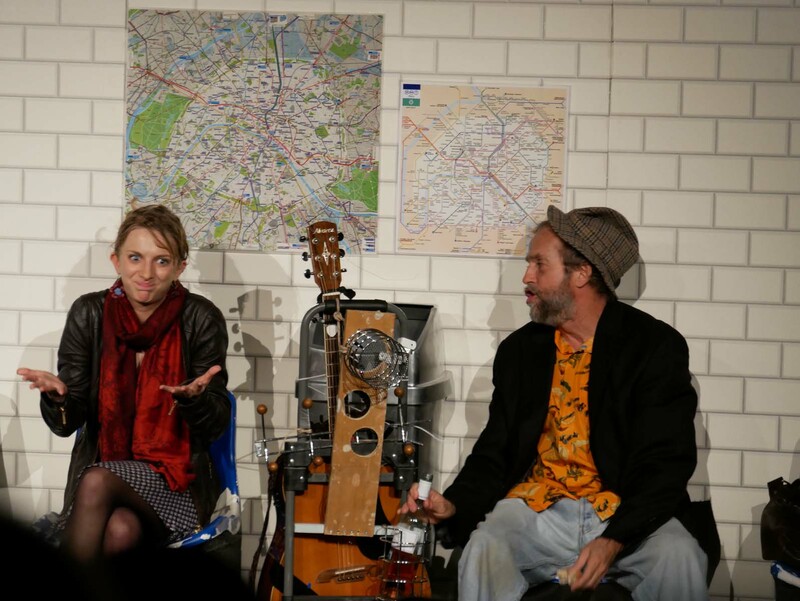 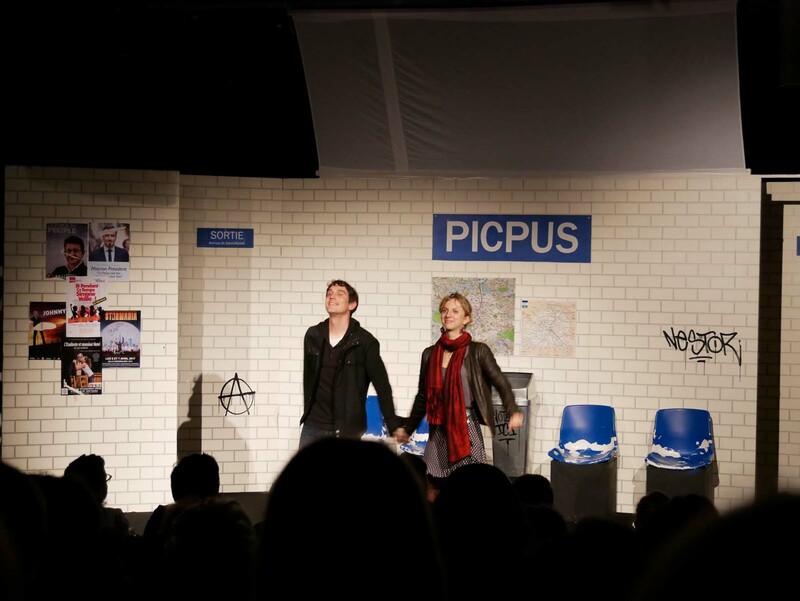 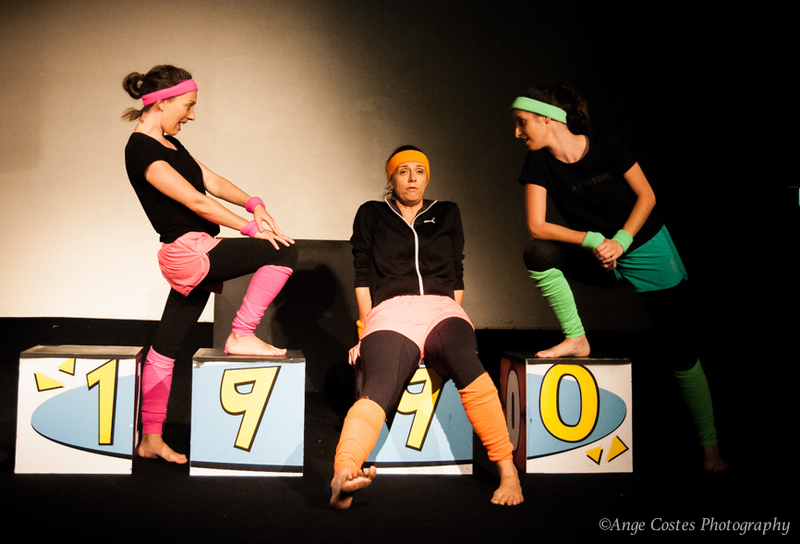 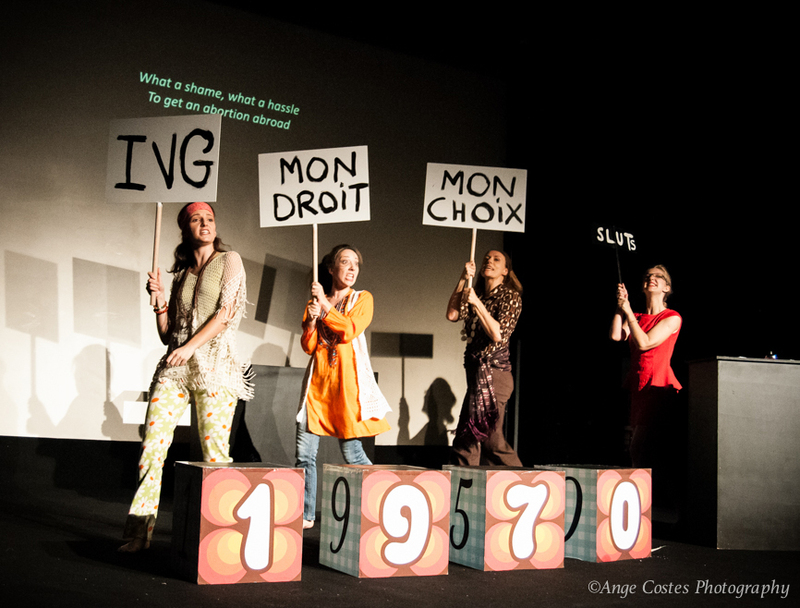 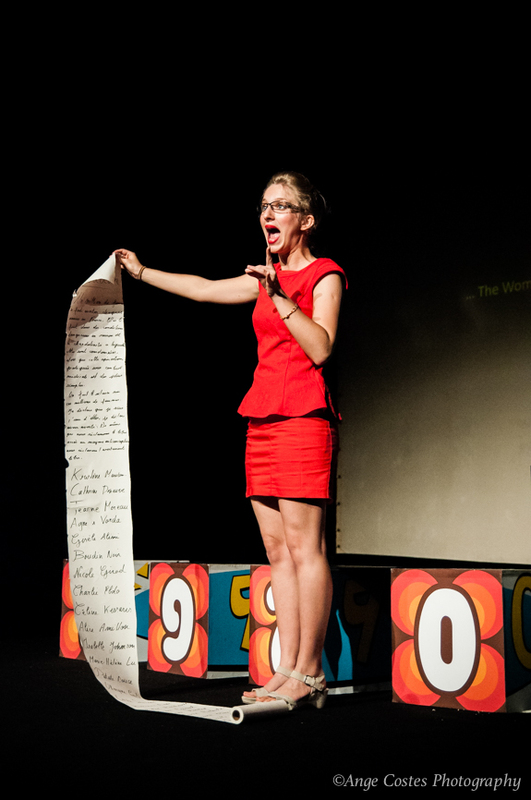 Our first 100% original production, Alas April, featured a Paris Metro station & a cast of 12 performers. 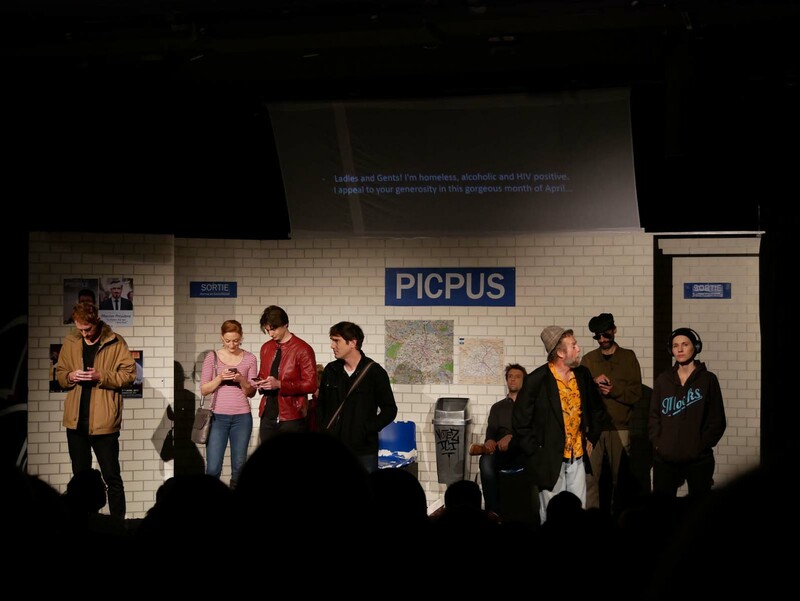 It sold out its 7 nights at the Metro Arts theatre. 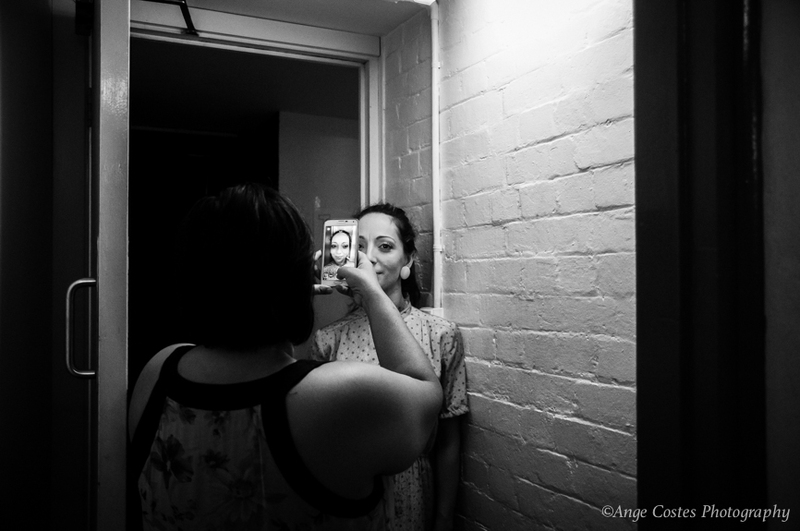 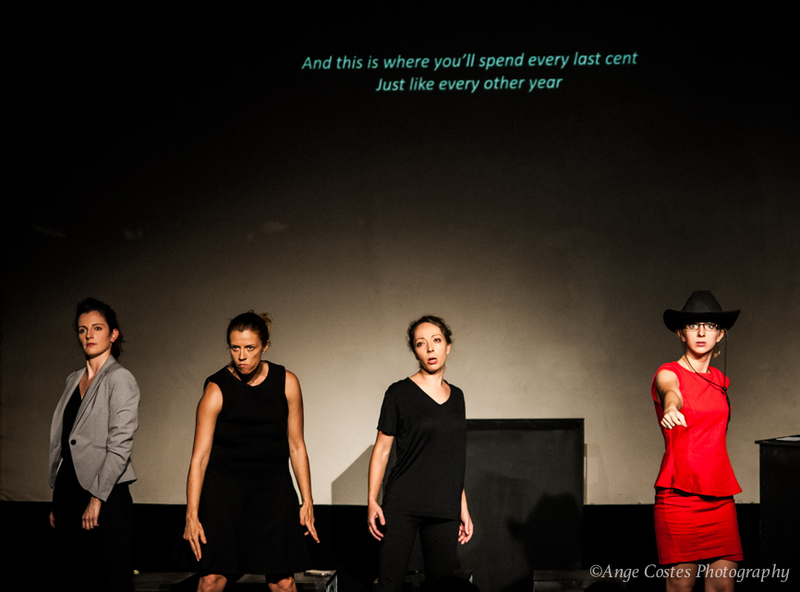 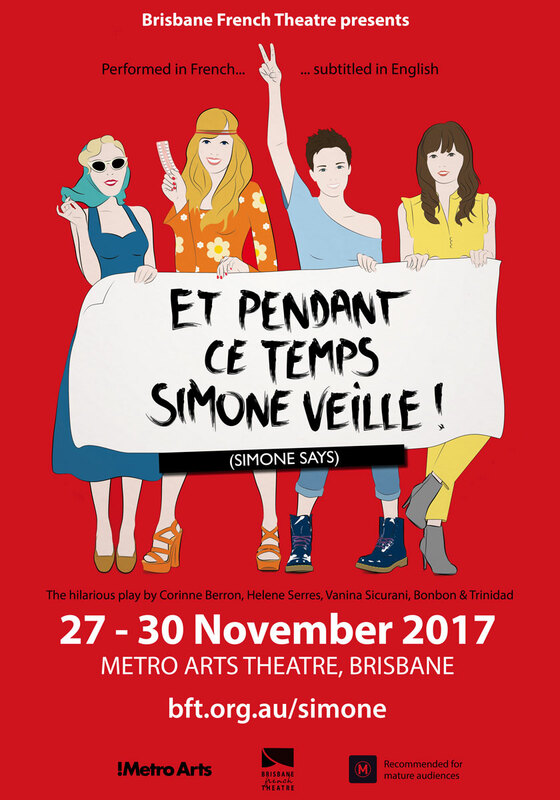 Our second and last production for the 2017 season was the outrageous feminist comedy Simone says (written by Corinne Berron, Helene Serres, Vanina Sicurani, Trinidad & Bonbon), produced for the first time in Australia. 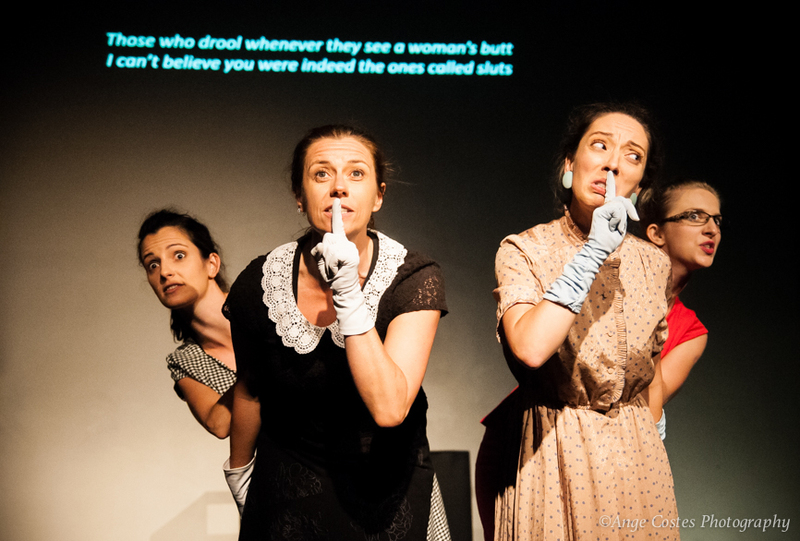 Six sold out shows at the iconic Metro Arts theatre in the CBD, during which our all-female cast delighted their audience with fast-paced banter and songs. 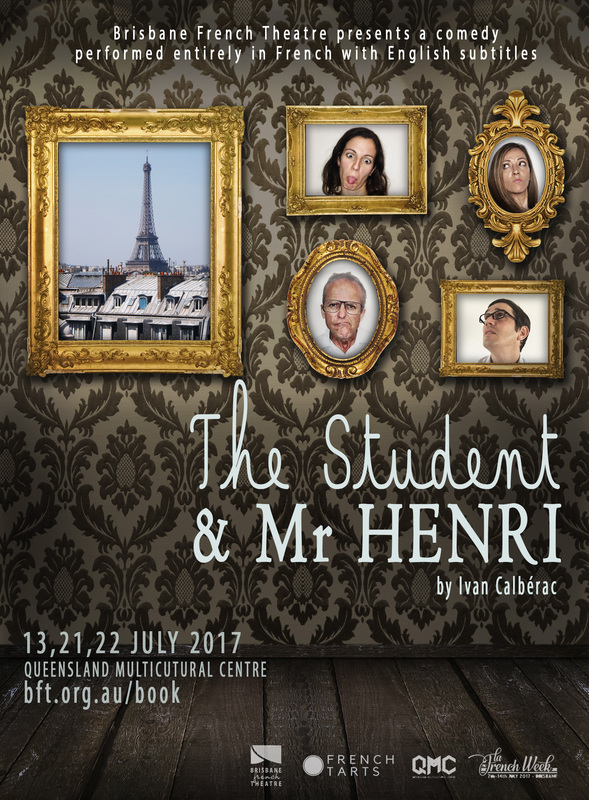 Our first production, “The Student & Mr Henri” (by Ivan Calberac), sold out and was very well received by audiences and critics alike. 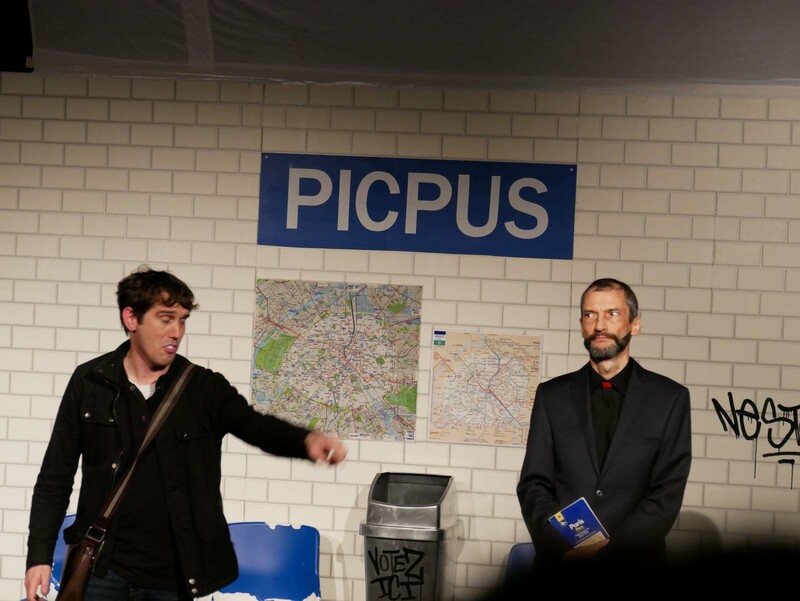 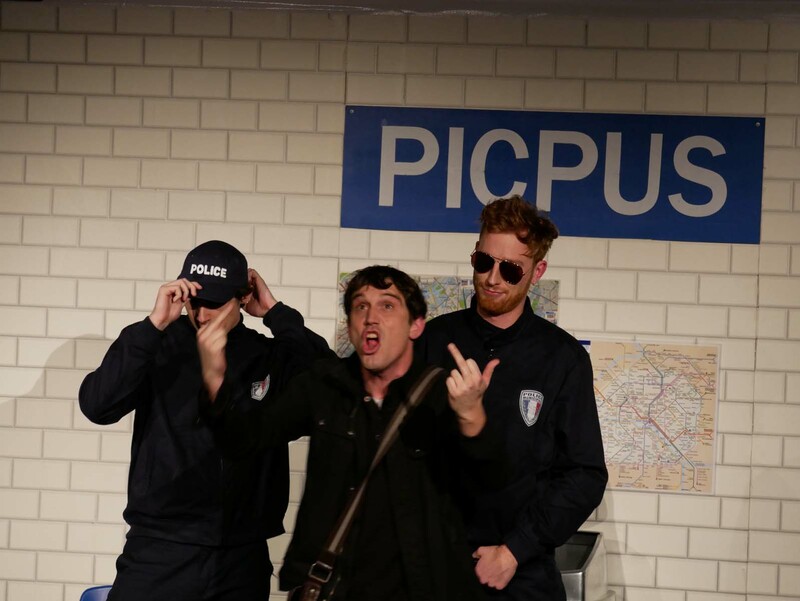 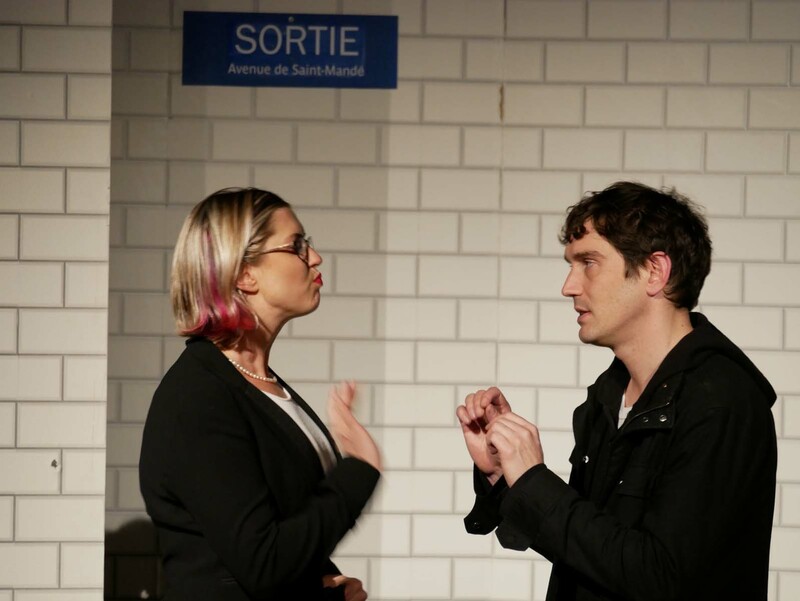 As a non-French speaker, I found it quite a novelty to see a play in a different language. 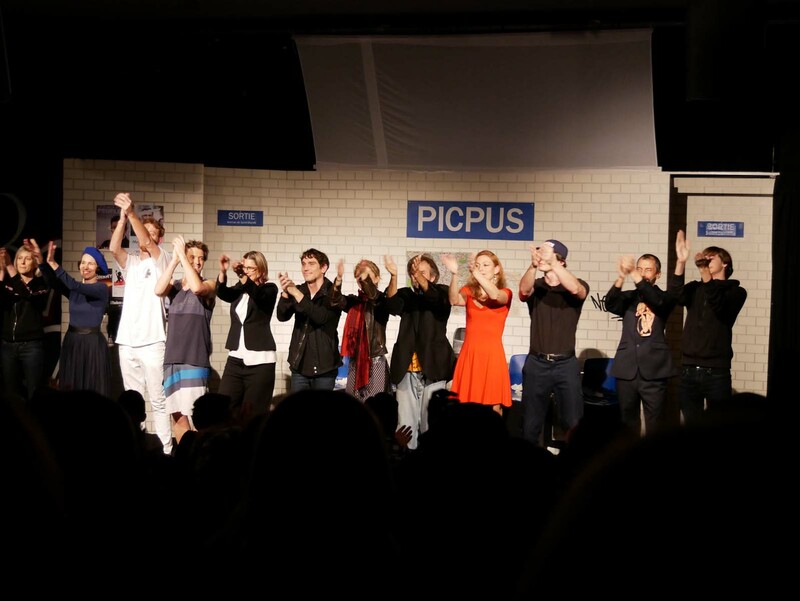 The play was completely absorbing, the actors were wonderful, and I enjoyed it very much. 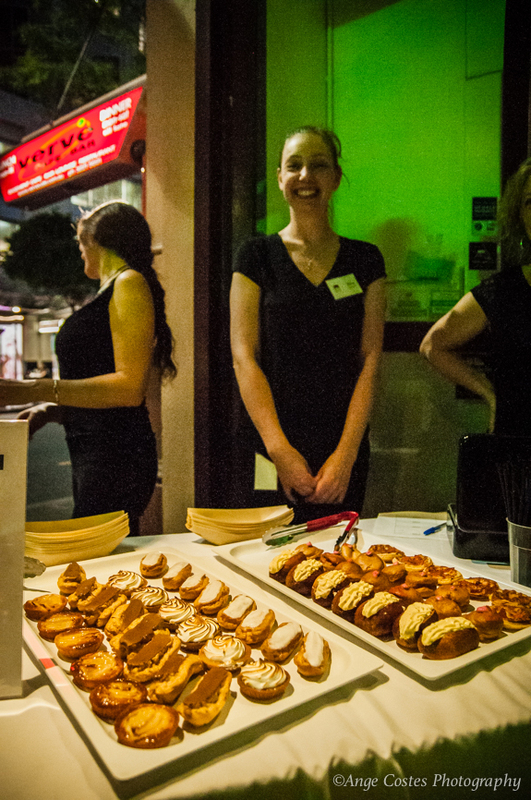 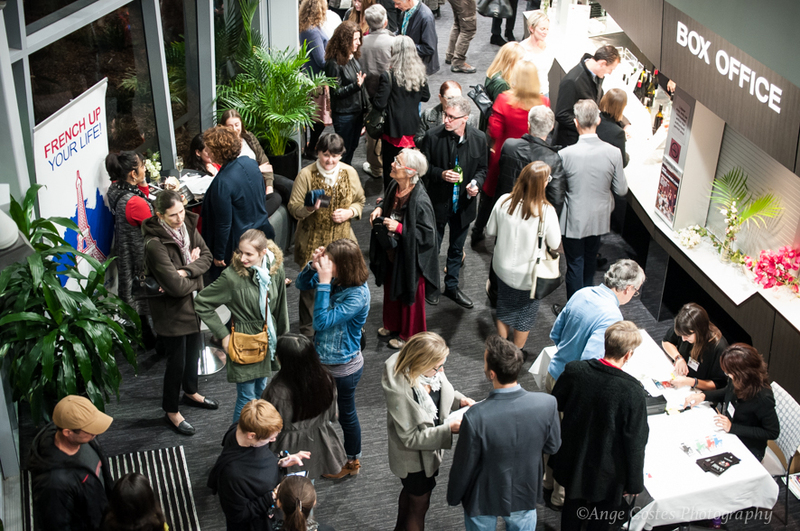 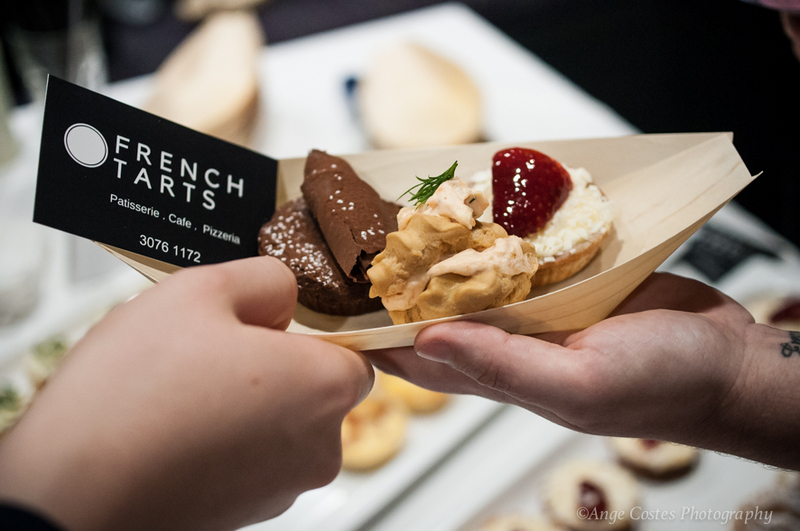 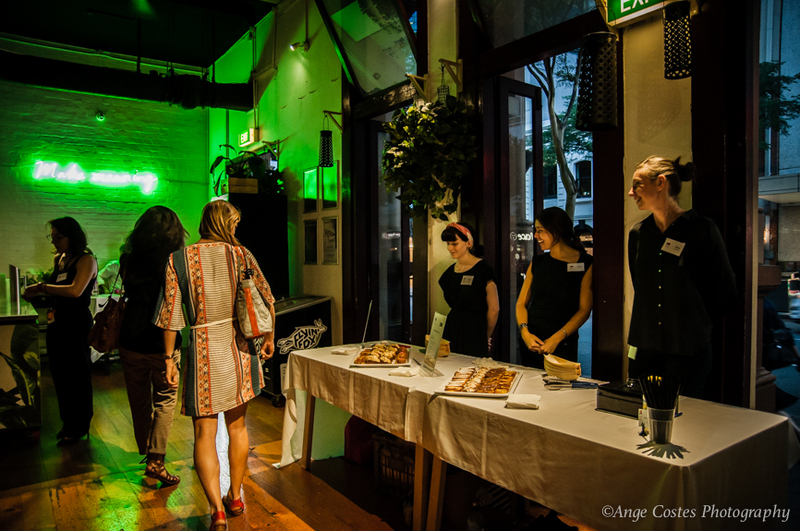 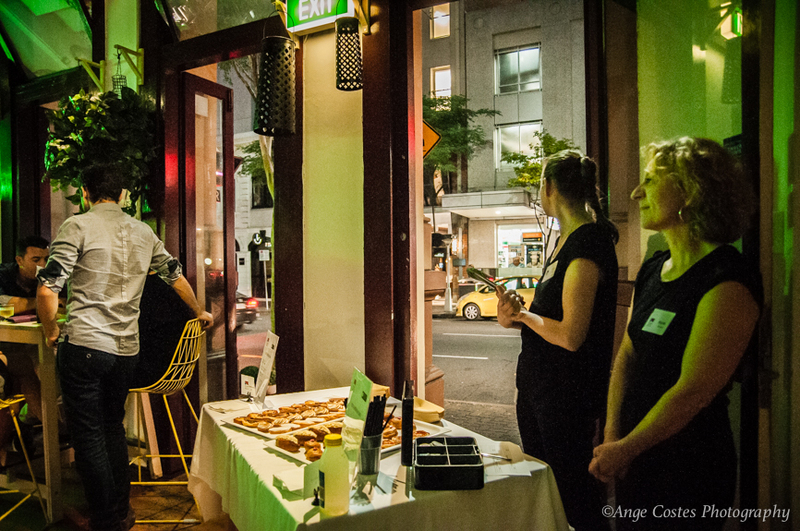 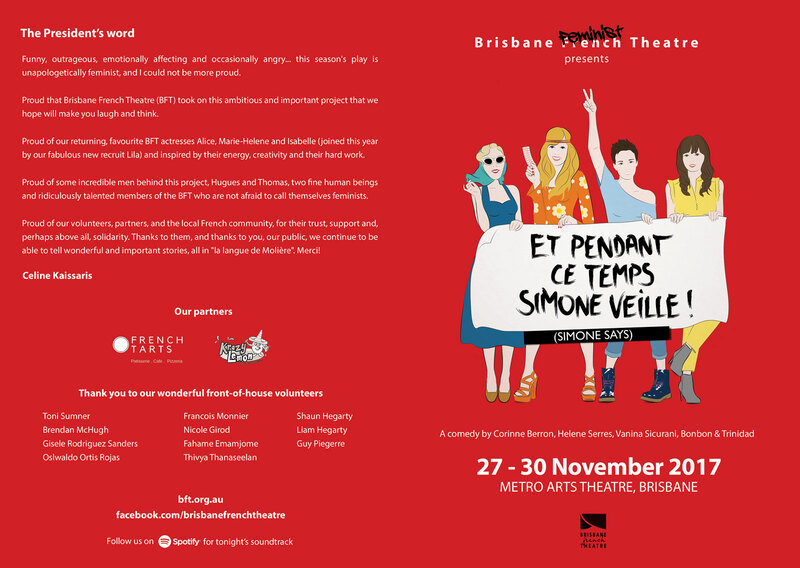 I loved the atmosphere of the theatre too – it was quite surreal and delightful to hear so many French speakers in Kangaroo Point! 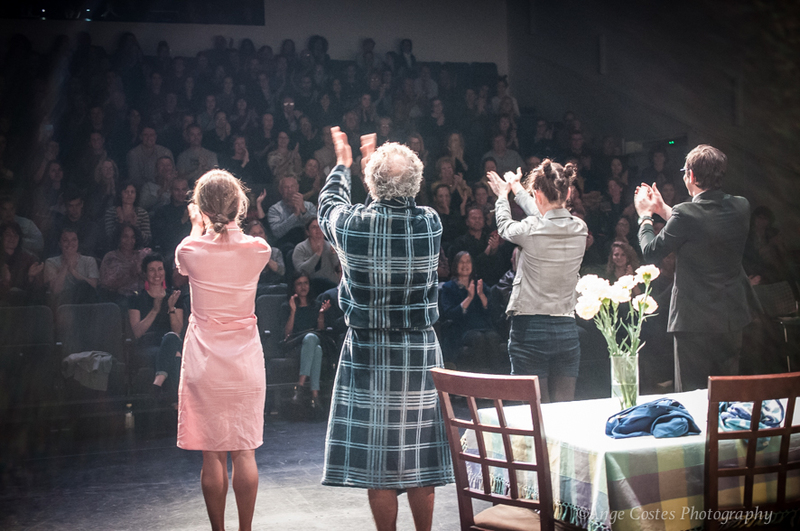 Touching, poignant and warm at times. 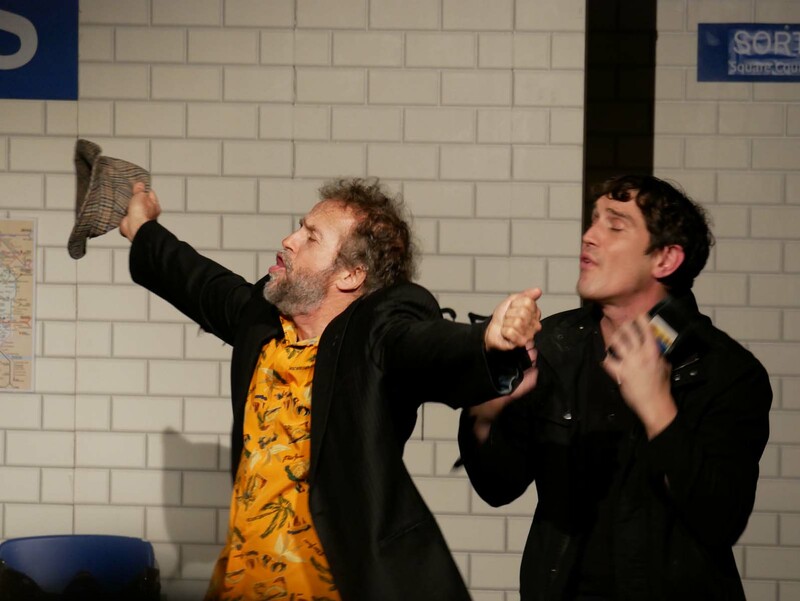 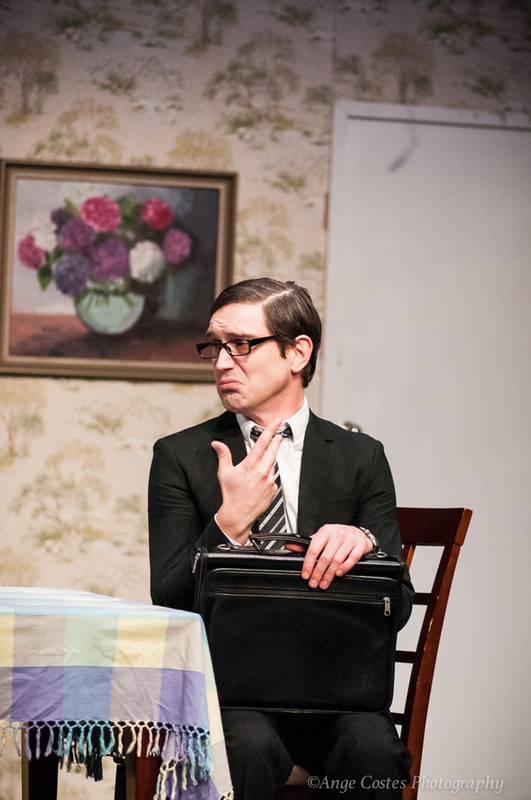 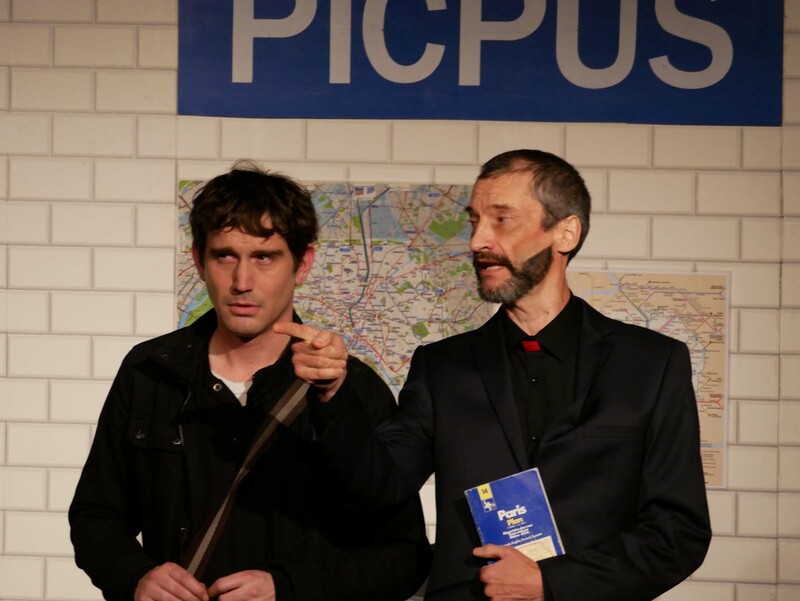 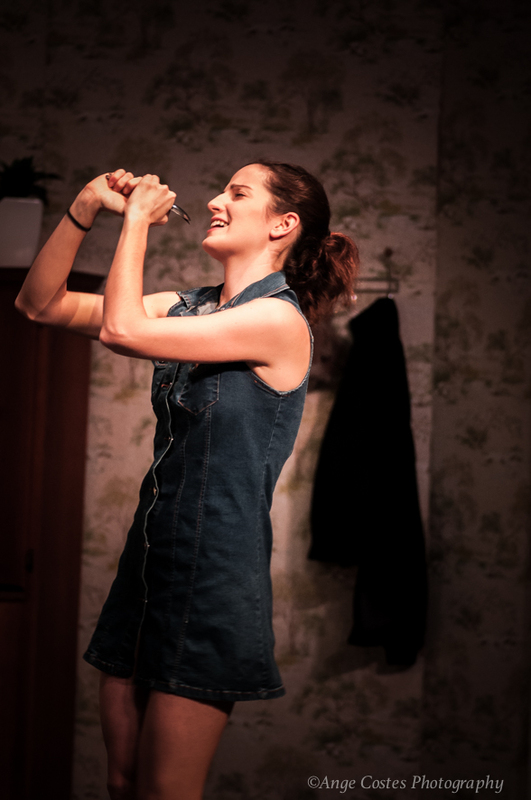 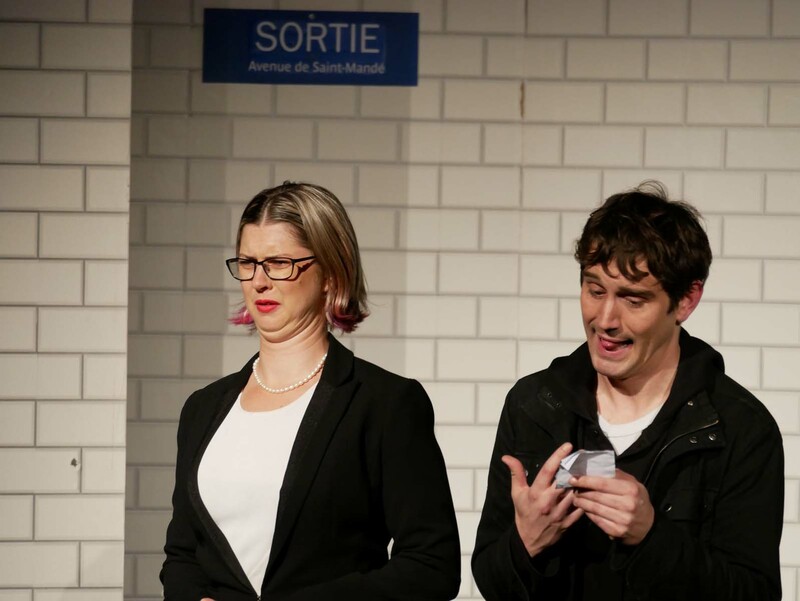 It was produced by a skilled team of creatives and performed by four equally skilled actors and Henri was met with genuine applause by the end of the night. 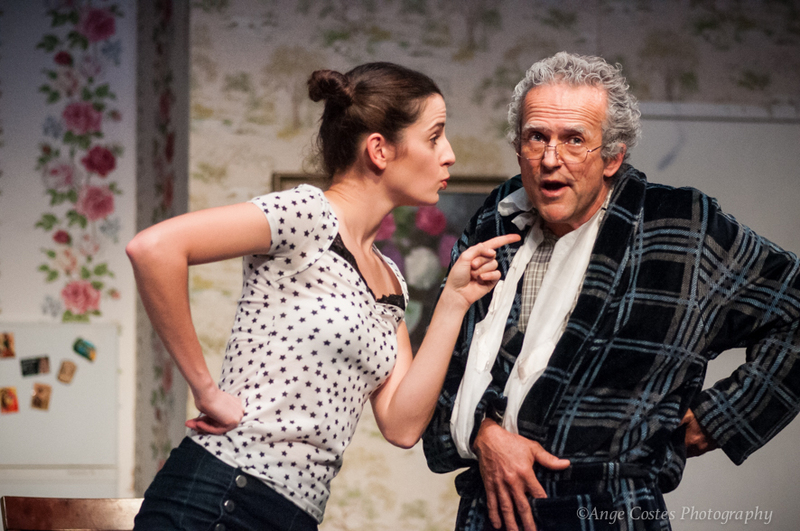 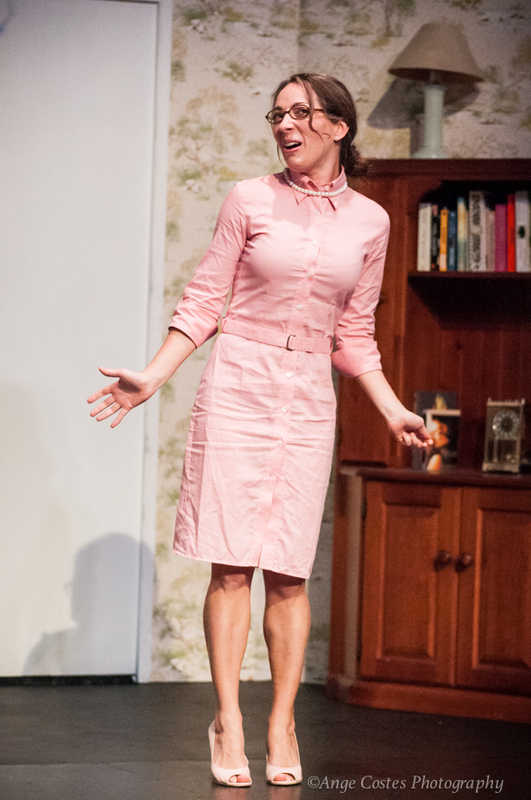 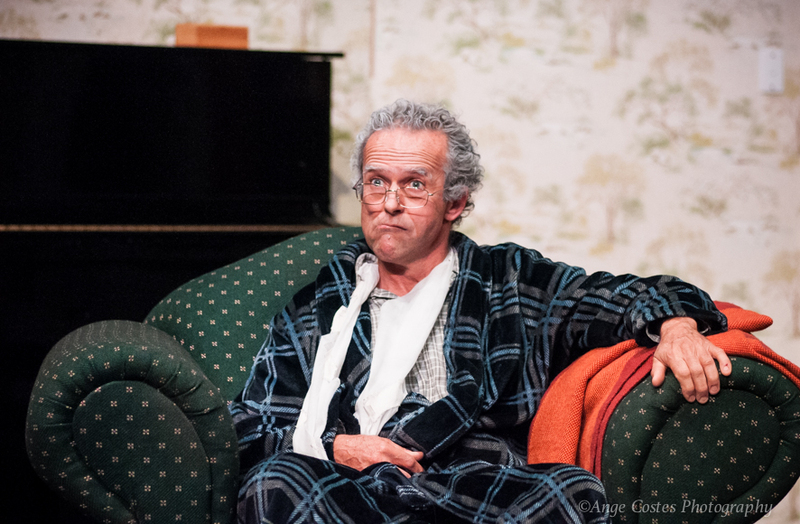 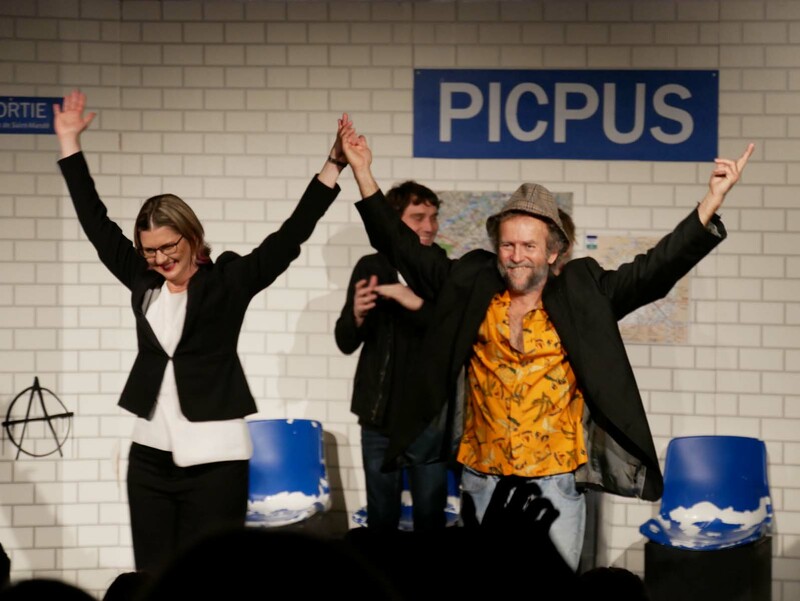 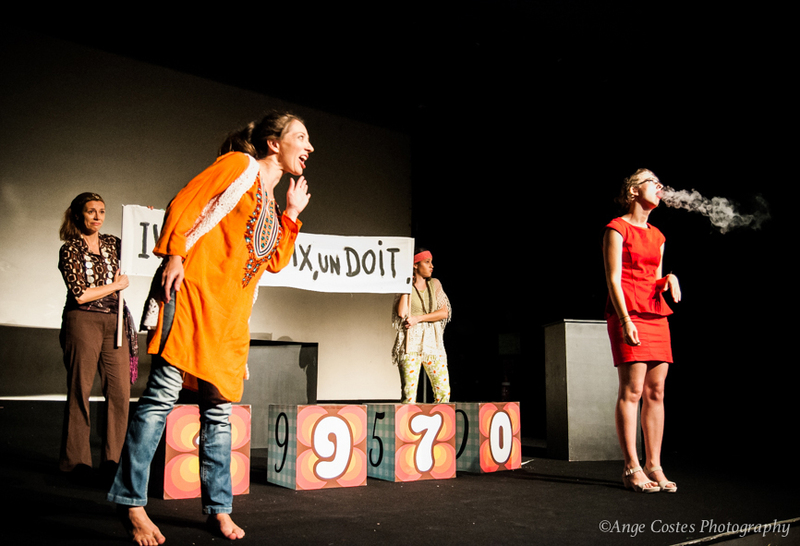 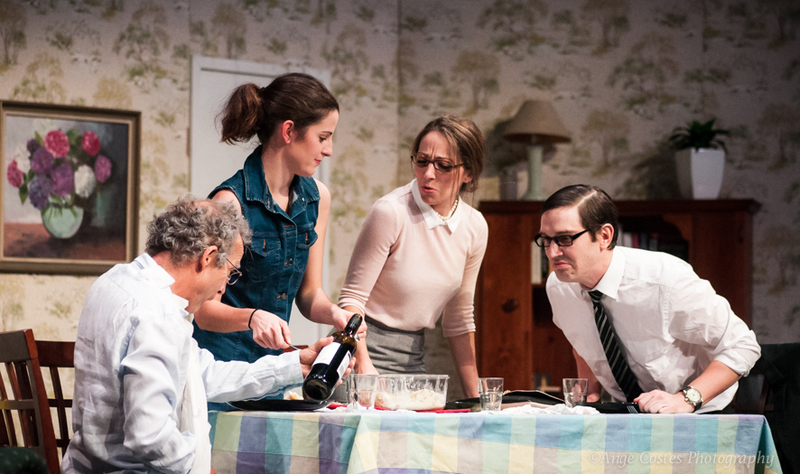 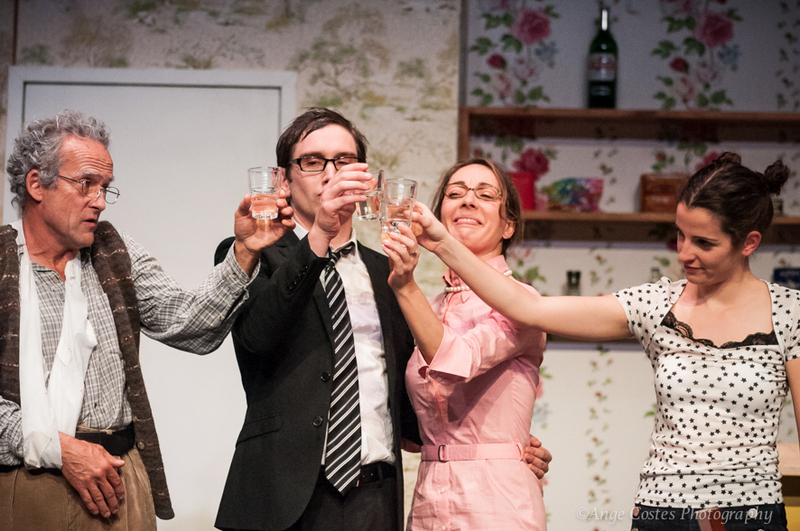 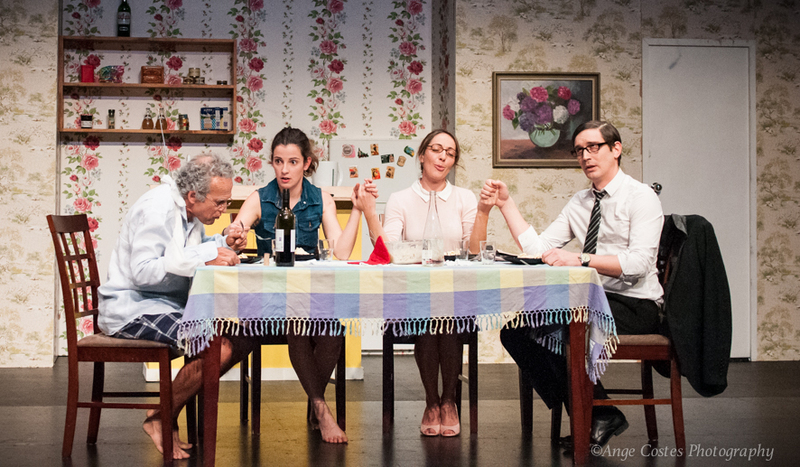 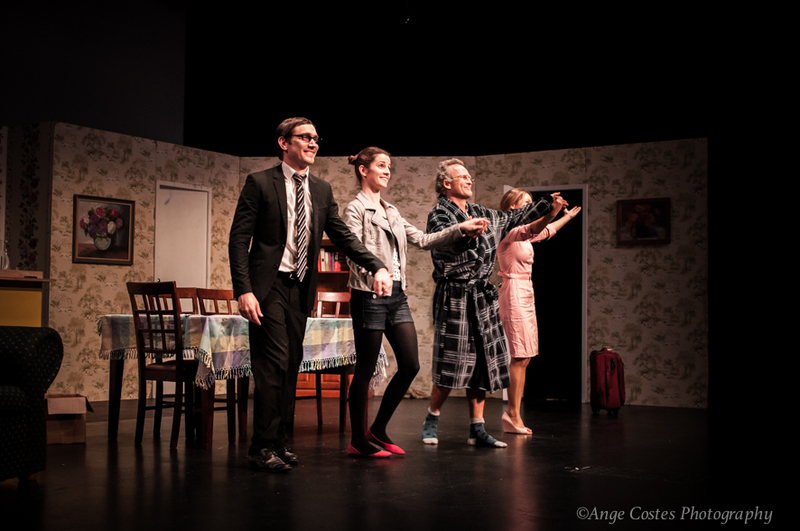 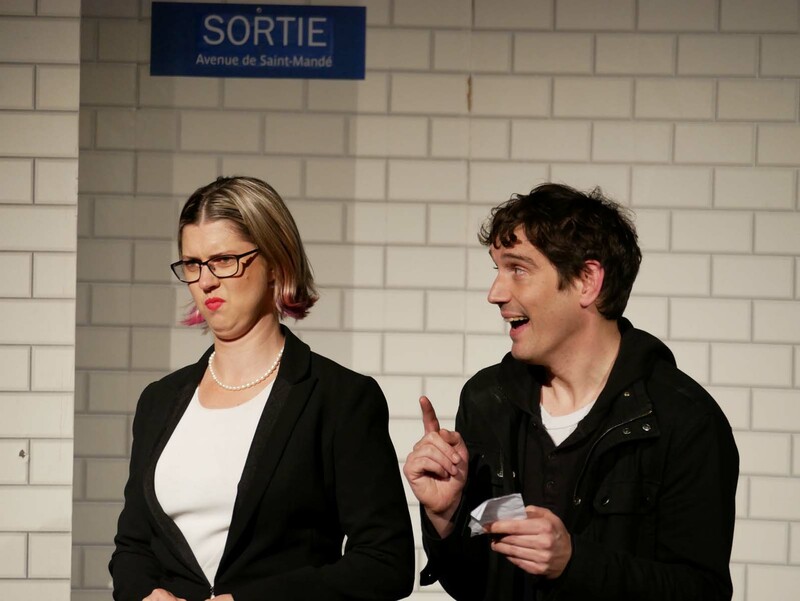 How delightful to see a play in French – so rare in Brisbane. 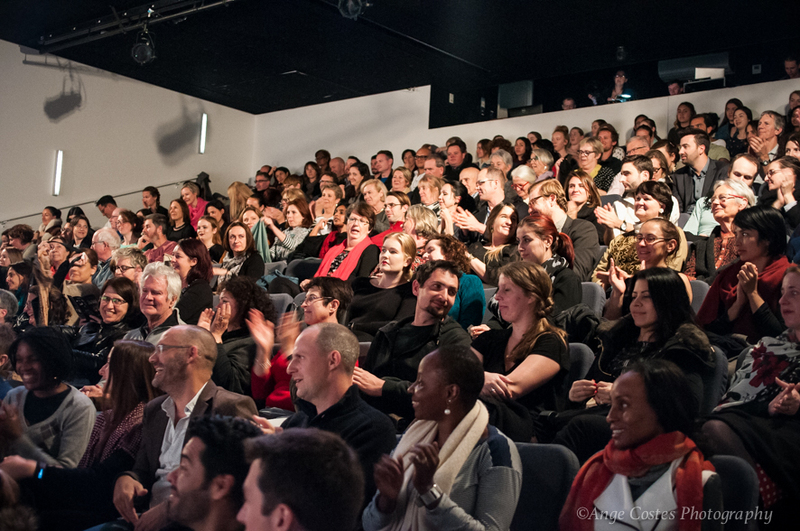 We had a fantastic night, merci. 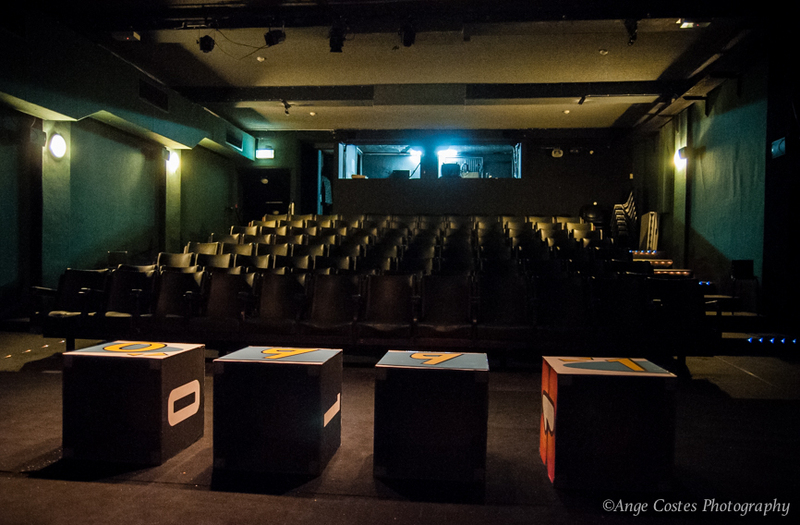 The theatre was very nice and we could easily see everything. 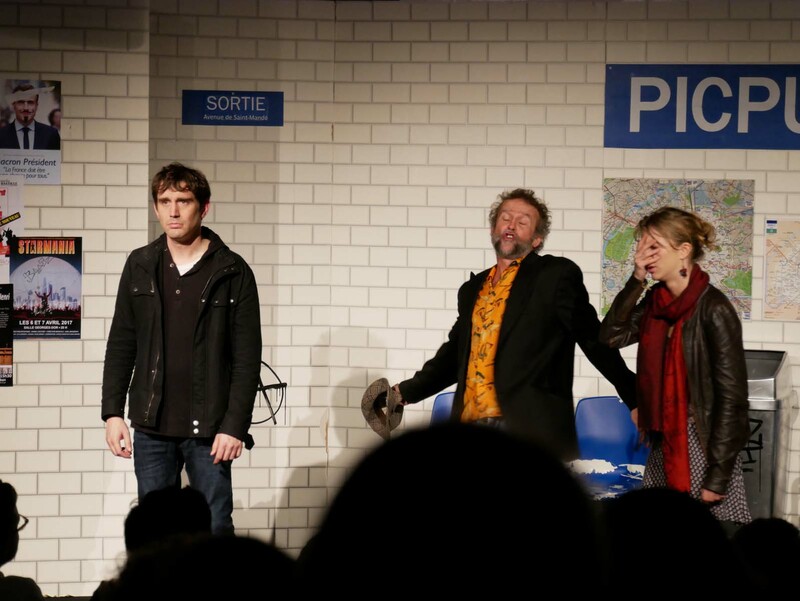 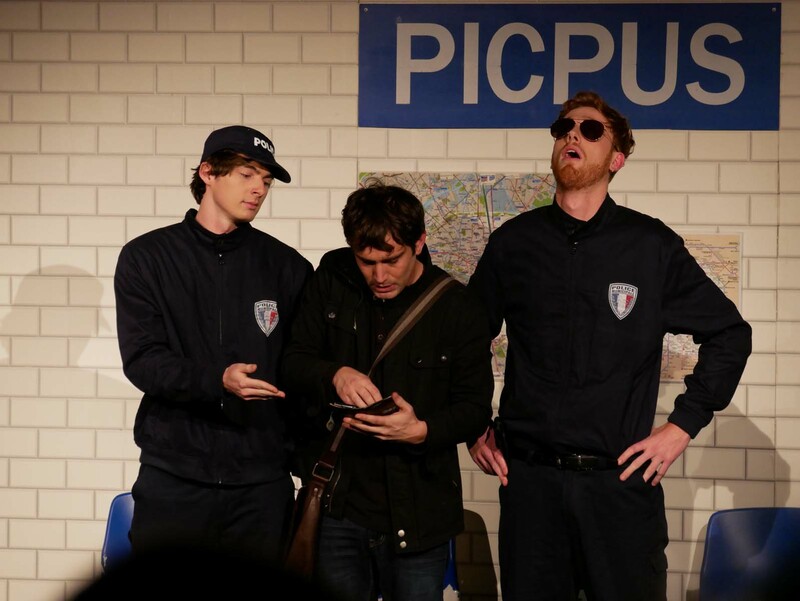 The sound was good and the play very funny. 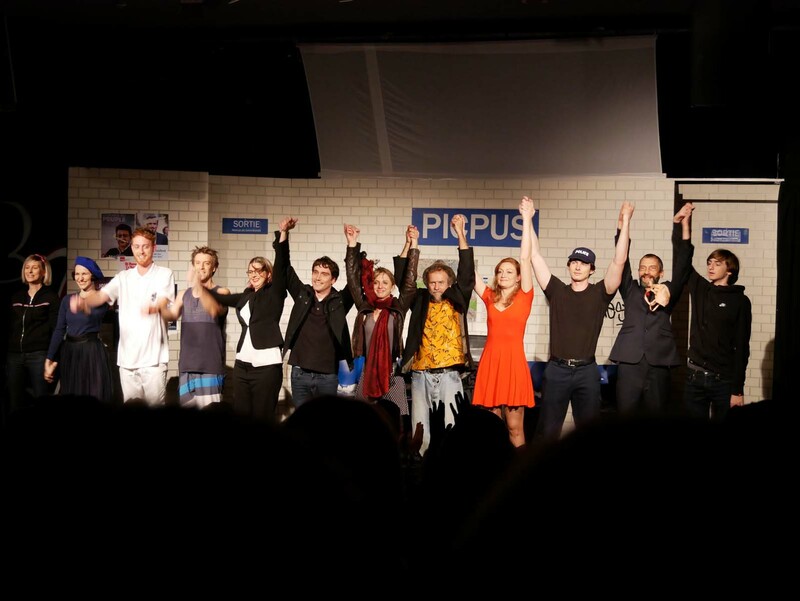 We had a very good time and we were impressed by the actors.